Halloween is right around the corner. Let’s face it. The market for Halloween costumes and decor is only a month or two long. Some people start shopping around the first of September and others wait until the first day of autumn. If you need some ideas, read on. I hope you are just a little bit curious. I know I am. Halloween is a fun holiday to play and be a kid…no matter what your age. Steam Punk is really popular in some areas and so are ren-fairs. Here is an awesome lady that does FANTABULOUS work. Her products are long-lasting, durable and have multiple uses…steam punk, ren-fair, Halloween, comic cons, etc! Damsel in This Dress has three cyber locations to shop from. You can visit her shop on Artfire. You can visit her cyber-store on Etsy. You can also visit her website directly at www.damseldress.com or on Facebook! This photo was taken by Christopher McCauley of McCauley Photography. Michelle is a very creative seamstress with an awesome family behind her…and an awesome fan base of customers who will attest to her creativity and the quality of her work. Check her out! She also blogs and does YouTube! There are many ways to be creative especially this time of year! Check out these ideas….submit photos if you already own a Damsel In This Dress outfit or part of one….and keep checking out her blog and Facebook page for more costumes for the season! They are wort it! And if you happen to find that extraordinary outfit for whatever occassion and would like to freeze it in time for all eternity…contact me via email at misha@mishasphotography.com for a photo session! 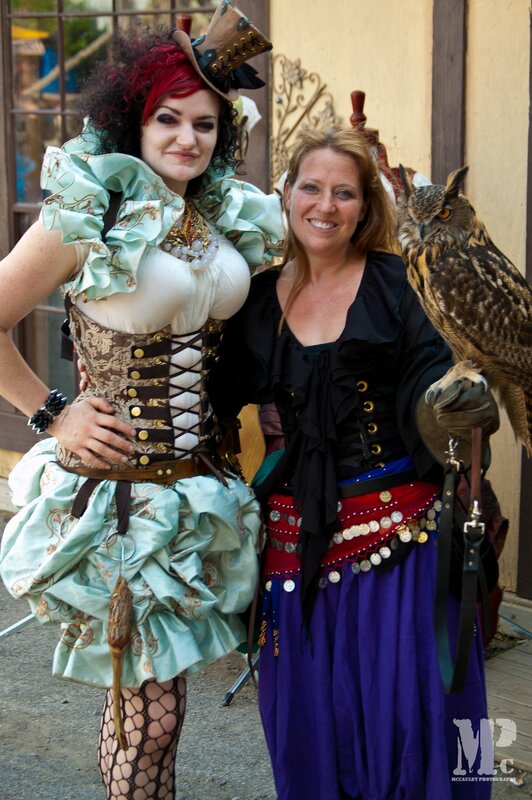 Halloween, Ren-fair, comic-con…or old fashioned FUN….make it memorable! Photos are a lot of fun, especially around the holidays. Halloween is one of my favorite holidays because it offers the chance to be a kid again. As a child (like most little girls) I loved to play dress-up. Halloween is the perfect holiday to play dress up. You can get into costumes with friends and family and have a blast throughout the month of October. September and October are also the easiest month to find costumes for plays, parties, and re-enactments or anything else you might need them for. Halloween Express is one of my favorite costume stores here in Tulsa, OK. They offer lots of accessories, costumes, and decorations for you to be as modest or as wild and fantastic as you wish for whatever party you are having. Thanksgiving is another favorite holiday though not as wild as Halloween. Thanksgiving offers lots of family gatherings and traditions, not to mention football games and parades! Events such as parades are awesome times to party in a different way. Need a photographer to photograph your parade group? Christmas…this holiday is the most special holiday in my heart. I love the winter wonderland (not always present of course) and decorating the tree is a big thing at our house. It’s a night of cookies, snacks, and decorating that gets the whole family involved. We call it a christmas party. Maybe you do too…or maybe you have other celebrations that you perform instead. The thing about holidays is there is always one person missing….that person behind the camera. that is one fantastic thing about hiring a photographer for family portraits…evereyone gets to be in it. Well, everyone in your family gets to be in it. Fall family photos, christmas family photos, all are great gifts to share and I’m here to help share that most precious treasure: Family! Author misha00lowtherPosted on September 14, 2011 Categories photography, etc.1 Comment on Holidays to Come!